This leading online Master of Applied Finance is designed for ambitious and savvy individuals who are looking for advanced academic rigour, but thrive on practical and real-world learning immediately applicable in the workplace, and directly relevant to future career roles. It provides you with the specialist technical knowledge and critical skills necessary to operate effectively in ever-changing local and global markets. You’ll also add quantitative analysis to your skillset, giving you a competitive edge when applying for senior management positions. In addition to your core units, you can choose to major in a particular knowledge area, tailoring your study to specialise in a particular area of interest or to align with your career aspirations. This qualification caters to your ability to work domestically and globally. In addition, the MAF encapsulates CFA® learning outcomes, and pathways and advanced standing is also available for those who have completed or are looking to gain the CFA® designation. Please see the ‘CFA® Exam Preparation’ tab for more information. We’ve been providing practical and relevant qualifications designed from the industry perspective for over 40 years (The Securities Institute, FINSIA and Kaplan Professional). In addition, we were the first industry-specific provider in Australia, and have since set the standard for applied finance education. Learn from the best. The MAF is enriched by the experience and knowledge of an internal team of subject matter experts and academics, and a large pool of approximately 200 industry practitioners, many of whom hold senior positions at some of Australia’s leading financial institutions. This ensures the knowledge they impart is current, practical, relevant, and centred on best industry practice. Not only does this provide you with both the theory and knowledge of how things really work, the interaction between students and faculty encourages informed debate on current and topical affairs. Study all-year round. Have the freedom to schedule your timetable around important deadlines to accommodate your personal and work commitments with your own personalised study plan. Access to learning hub and first-class resources anywhere, anytime. From enrolment to graduation, count on the guidance and support from our experienced and knowledgeable team of Student Advisers every step of the way. Engage with like-minded professionals in a supportive peer-to-peer environment, to create a richer, more immersive learning experience. Expand your professional network and join a global community of over 21,000 alumni. You will be required to provide Kaplan Professional with documents supporting that you meet the requirements for entry into the course. Please review the Provision of Entry Requirement Documents (PDF) for more information. Don’t meet the above entry requirements? You may be eligible for a pathway into the Master of Applied Finance by enrolling in the Graduate Diploma of Applied Finance or the Graduate Certificate in Applied Finance. Please visit the Graduate Diploma of Applied Finance or Graduate Certificate in Applied Finance pages and refer to the ‘Entry requirements’ tab. Alternatively, feel free to contact 1300 135 798 or studentadvice@kaplan.edu.au to discuss your options. 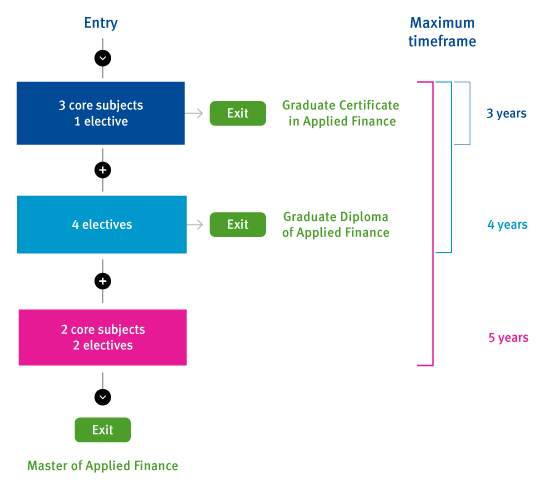 Utilising advanced standing*, CFA® charterholders are eligible to receive six (6) exemptions from Kaplan Professional’s Master of Applied Finance. 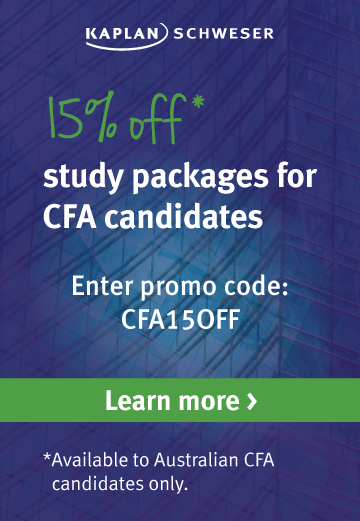 In order to complete Kaplan’s Master of Applied Finance, CFA charterholders are required to complete five (5) subjects and one (1) research project. 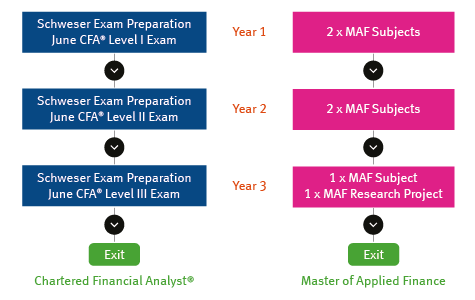 There are a number of CFA-MAF pathways and study plans available to suit your individual needs. Click here to learn more. Click here to find out more about Kaplan Schweser’s CFA® Exam Preparation. *Please refer to Kaplan Professional’s Advanced Standing Precedent list for more information. I selected Kaplan Professional as my education provider because I wanted practical, relevant and recent learnings that I could apply to my future career roles. 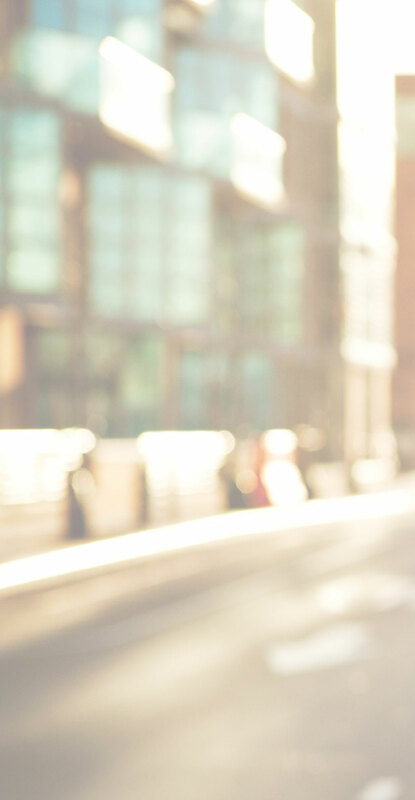 I analysed universities and Kaplan Professional’s Master of Applied Finance, and concluded that Kaplan Professional’s program was better suited to my aspirations. I selected Kaplan Professional as my education provider because of the local Australian-specific industry knowledge, convenience of online study and reputation. My study with Kaplan Professional has allowed me credibility in the workplace, confidence with peer teams and an excellent working knowledge of the industry. Additionally, I’ve gained practical information in management of my own assets and pension.